In the past few years, education experts have finally realized that providing kids with various types of school games and activities can help change the face of all academic institutes trying to compete with large scale academic institutes. Happy students mean greater productivity and that can only be achieved if students are provided with a lot more than just education. Schools have started to engage their students in various innovative school games for kids, so that they could enjoy coming to school. Popular board games such as scrabble, ludo, checkers, monopoly, risk and chess can be seen in many schools across the world. These types of activities help students open up with teachers and other class mates helping them achieve greater confidence and social development. All academic institutes try to make sure students are provided with a friendly and convenient environment. Schools with limited resources don’t have enough money to arrange for various extra-curricular activities with consistency. What Are The Benefits Of Board Games? Games don’t need to be explicitly academic to be educational. Just by virtue of playing them, board games can teach important social skills, such as communicating verbally, sharing, waiting, taking turns, and enjoying interaction with others. Board games can foster the ability to focus, and lengthen your child’s attention span by encouraging the completion of an exciting, enjoyable game. Board games can help your child weave her wild and erratic side into a more organized, mature, and socially acceptable personality. All games have certain rules and regulations teaching students how to act within the boundaries and limitations. In a nutshell, board games teach students discipline and self-constraint. Most of the board games such as chess and scramble, are not just a source of entertainment, but also teach many lessons to the young ones. What Other Activities and Games Can Be Seen At Schools? Painting is another most popular source of entertainment in many schools across the world. Many schools have come up with different ways of painting such as glass painting, finger painting, cotton tip painting, sponge painting, stick painting and so on. 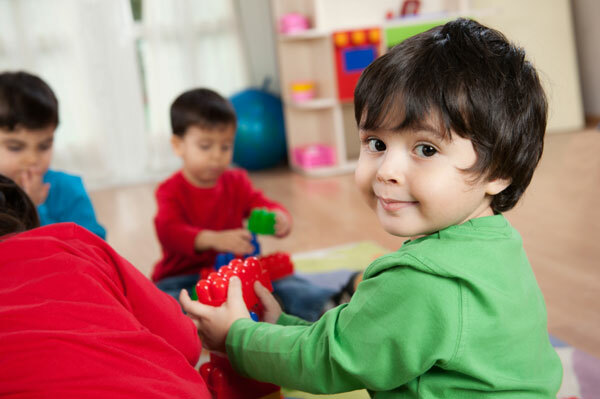 Some of the other activities mainly seen at schools include, treasure hunt, musical jars, indoor cubby house, egg carton treasure box, musical chair, creating rainy day box, pretend cooking, hide and seek and balloon bop. Why Do Schools try Different Ideas of Games and Activities for Kids? As mentioned above, maintaining a repetitive work schedule can be very boring for both the students and teachers. Due to this, it becomes important for all academic institutes to come up with newer ideas for games and various extra-curricular activities. This, in the long run helps maintain a healthy work environment improving the overall student-teacher productivity. It has become important for all academic institutes to maintain a healthy work atmosphere and that can only be possible if both students and teachers are happy. Students especially the younger ones, need to be valued and respected at all times or else they won’t be able to be productive.